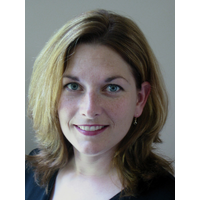 Anna Wood is a dedicated and committed full time professional real estate broker working primarily in the east end of the Greater Toronto Area. Anna’s love of the real estate industry has been proven through her exemplary service and dedication to her clients and their needs. Since joining the industry, Anna has received numerous awards for her sales achievements. Anna is happily married and a mother of three. She is an active participant in the community and is a supporter of Pickering Minor Hockey, Sick Kids Foundation, and Canadian Breast Cancer Foundation.